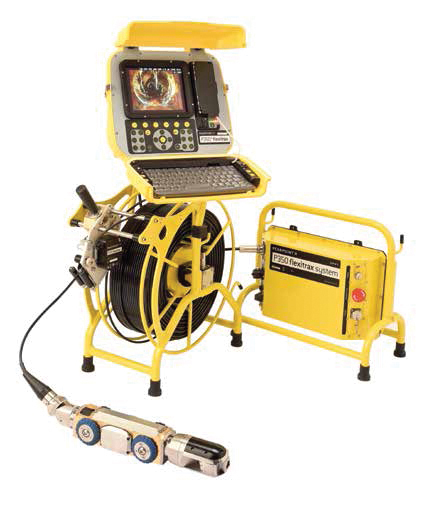 Pearpoint’s P350 flexitrax combines a portable and modular crawler system with big-pipe inspection capabilities. 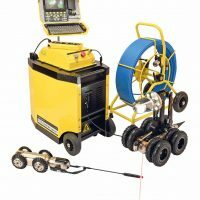 Powered elevator enables inspection of pipes up to 36”/900mm in diameter. Joystick camera and crawler controls provide intuitive operation, with common controls placed at hand. Directly connect a P340 pushrod reel to the P350 drum, and switch from one camera image to the other with a simple key press. The P350 is a truly modular system, designed to meet the tough requirements of inspection environments. Tailor the system to meet your requirements. 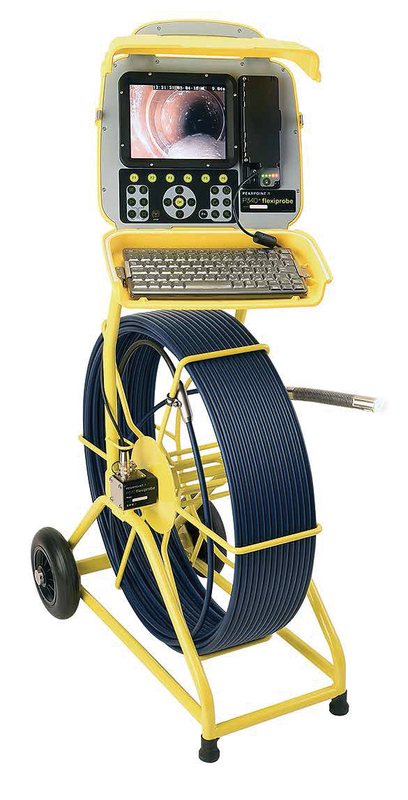 Choose between a cost-effective manual cable drum or an advanced powered drum, each with up to 1000’/305m of cable. Choose from three interchangeable cameras and two powerful crawlers that are designed to withstand the most challenging sub-surface conditions. 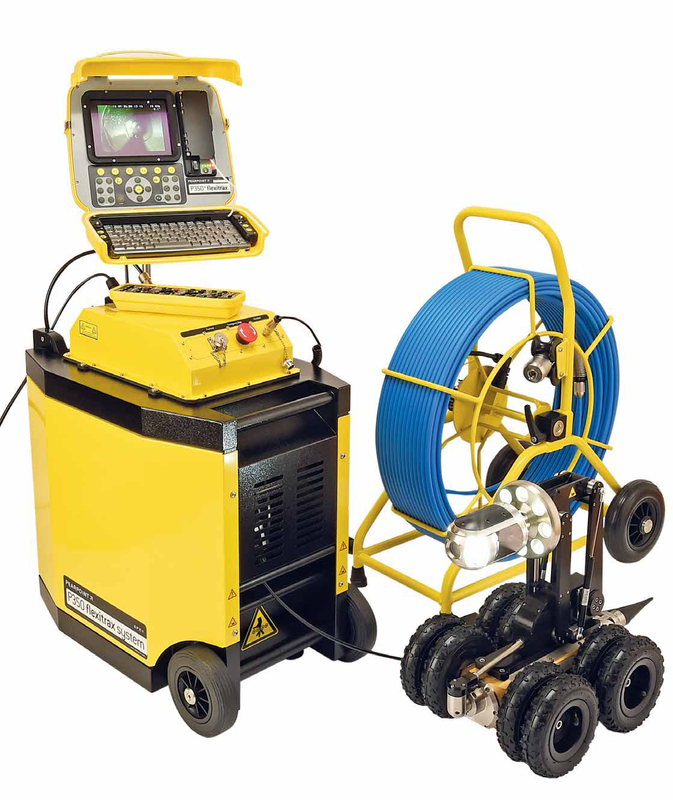 A wide choice of wheels, elevators and tires optimize the downhole equipment to suit the pipe network being surveyed. 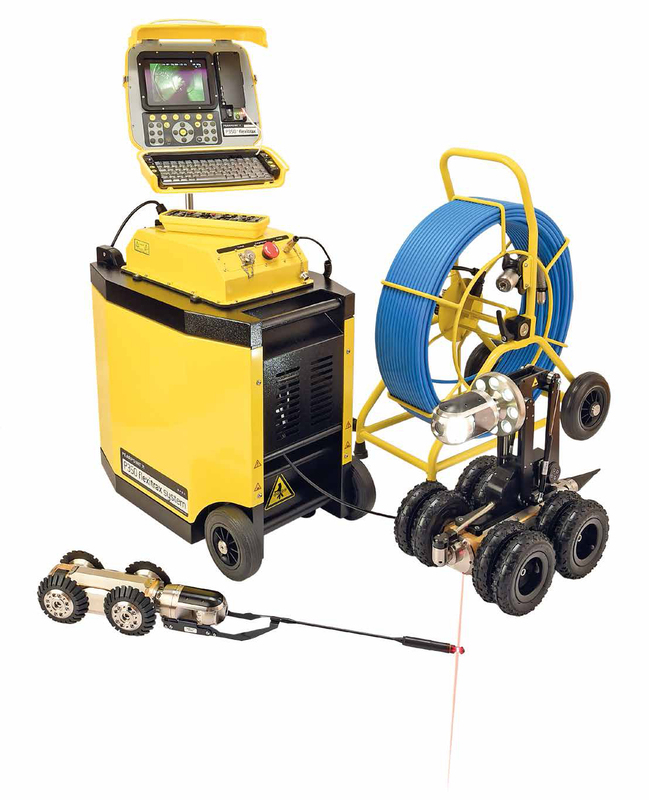 Compatibility with the P340 flexiprobe® pushrod enables operators to work in pipes as small as 11/4”/32mm in diameter, while the system elevators and lighthead enable compliant surveys in pipes up to 36”/900mm in diameter, and plenty of lighting to go larger.